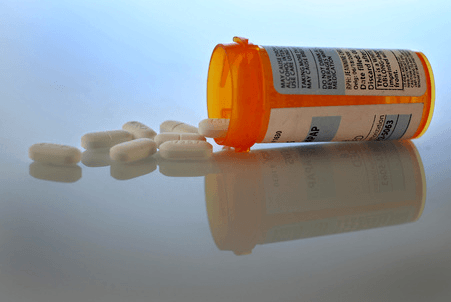 Charged With Crimes Involving Prescription Drugs in Massachusetts? Illegal use of prescription drugs is a problem which is becoming more and more common. Given the powerful and addictive nature of painkillers, opiates and psychotropic medication, legitimate use can turn to illegal possession, distribution of prescription drugs and even prescription fraud. If you or a loved one has been arrested, received a criminal complaint and/or been indicted for illegal use or distribution of prescription drugs, obtaining prescriptions by fraud, or for forged prescriptions, Boston Criminal Defense Attorney Steven J. Topazio can assist you. Prescription narcotics are not to be confused with aspirin, vitamins or candy. They are controlled substances with strictly enforced restrictions in the eyes of the law. An overdose of a painkiller can cause heart attack or death. Lesser doses cause the person taking them to be “under the influence,” impaired — and liable for a DWI/OUI arrest if detected. Prescription drugs are legal only for the person whose name is on the prescription — and may be transported only in the original container. If you have been charged with a criminal offense involving illegal possession, purchase, sale or distribution of any of the following narcotics, you are strongly encouraged to contact an aggressive, experienced and knowledgeable defense attorney. You may be a health care professional, a consumer or an addict — regardless of who you are, if you have been arrested and charged for possessing or distributing prescription drugs outside the legally acceptable channels (through a doctor’s prescription and a pharmacy), you have an urgent need for skilled, knowledgeable, aggressive criminal defense. Your legal situation and the potential consequences are the same as those for someone charged with drug crimes involving heroin, cocaine or other street drugs. Boston Criminal Defense Attorney Topazio is prepared to investigate every aspect of the allegations and circumstances of your case, in order to identify the right strategy and build an aggressive defense on your behalf. Contact Boston Criminal Defense Attorney Topazio online or call to discuss your case. The client, a 33 year old mother of three and former medical secretary, was summonsed to court after receiving a complaint alleging she unlawfully obtained a controlled substance by uttering false prescriptions on over eighty different occasions to multiple pharmacies thereby obtaining over 16,000 oxycodone and oxycotin tablets. The client was first summonsed to the Newburyport District Court on multiple fraud counts, then to the Salem District Court. Attorney Topazio worked out a coordinated plea with both courts so as to minimize his client’s exposure and potential risk of receiving jail time. Attorney Topazio met with his client and learned that she took a prescription pad from the doctor she had worked for and wrote prescriptions to herself. Attorney Topazio learned that his client last abused prescription medication on February 4, 2010 after police came to her home and confronted her on their investigation. The client made statements to police admitting what she had done, and although fired from her employment, was not immediately arrested but given an opportunity to address her substance abuse problem. Attorney Topazio realized that the police cut his client a huge break by allowing her to voluntarily enter into a substance abuse detox facility instead of arresting her. Attorney Topazio took advantage of this opportunity and continued his client’s case while she dealt with her substance abuse problem. Attorney Topazio obtained medical documentation regarding his client’s inpatient and outpatient treatment for the prosecutor and the court. Attorney Topazio met with the prosecutor on the case and argued that despite the large volume of oxycodone and oxycotin tablets fraudulently obtained, that his client was an addict and did not sell the pills. Today, despite facing a state prison sentence of not more than four (4) years and a fine of $20,000 on each of fourteen criminal counts his client faced, Attorney Topazio was able to convince the prosecutor and the court to give his client a continuance without a finding, “CWOF” for two years on all counts provided she remain drug and alcohol free and complete her substance abuse program, the same sentence that was negotiated a week earlier out of the Newburyport District Court. Result: Client avoids a conviction and jail time and the charges will be dismissed if she successfully completes her probation protecting her CORI. The client, a 33 year old mother of three and former medical secretary, was summonsed to court after receiving a complaint alleging she unlawfully obtained a controlled substance by uttering false prescriptions on over eighty different occasions to multiple pharmacies thereby obtaining over 16,000 oxycodone and oxycotin tablets. Attorney Topazio met with his client and learned that she took a prescription pad from the doctor she had worked for and wrote prescriptions to herself. Attorney Topazio learned that his client last abused prescription medication on February 4, 2010 after police came to her home and confronted her on their investigation. The client made statements to police admitting what she had done, and although fired from her employment, was not immediately arrested but given an opportunity to address her substance abuse problem. Attorney Topazio realized that the police cut his client a huge break by allowing her to voluntarily enter into a substance abuse detox facility instead of arresting her. Attorney Topazio took advantage of this opportunity and continued his client’s case while she dealt with her substance abuse problem. Attorney Topazio obtained medical documentation regarding his client’s inpatient and outpatient treatment for the prosecutor and the court. Attorney Topazio met with the prosecutor on the case and argued that despite the large volume of oxycodone and oxycotin tablets fraudulently obtained, that his client was an addict and did not sell the pills. Today, despite facing a state prison sentence of not more than four (4) years and a fine of $20,000 on each of fourteen criminal counts his client faced, Attorney Topazio was able to convince the prosecutor and the court to give his client a continuance without a finding, “CWOF” for two years on all counts provided she remain drug and alcohol free and complete her substance abuse program. The defendant, a professional person and recovering addict, was accused of presenting a forged prescription for the prescription medication Dilaudid which was in the name of a third party, who had been waiting outside the pharmacy. Dilaudid is an analgesic narcotic with an addiction liability similar to that of morphine. Dilaudid is approximately 8 times more potent on a milligram basis than morphine and is often called “drug store heroin” on the streets. After noticing the drug’s name on the prescription was spelled wrong, the pharmacist called the doctor and confirmed the prescription was bad, who thereafter called the police. When questioned by police, the defendant gave inconsistent statements and acknowledged that he was on the verge of a relapse to explain his actions, hired Attorney Topazio to defend him. Attorney Topazio’s primary concern was to avoid a conviction, (which would protect his client’s record) and at the same time insuring that his client did not lose his job due to a felony conviction. Attorney Topazio obtained his client’s medical records to substantiate his client’s course of treatment and prescription medications for court and in the process learned that his client became addicted to prescription medications following a medical procedure several years ago. Attorney Topazio recreated a chronology for the court including the factors which caused his client to lose tract of his own recovery, and presented same to the District Attorney in an attempt to resolve the matter. Today, Attorney Topazio convinced the court, over the District Attorney’s objection, to give his client an administrative CWOF (continuance without a finding) for six months and thus avoided trial and consequences of a possible conviction. Administrative probation relieves the probationer of the reporting obligations associated with supervised probation. Result: Defendant accepted a CWOF thus avoiding a trial and a conviction on his record, and preserves his employment. The defendant was arrested after forging prescriptions and obtaining medications from various pharmacies including CVS, Walgreen’s and OSCO Drugs. The defendant was told after several pre-trial conferences that he was facing jail time, was unsatisfied with the advice he was receiving and discharged his former counsel, and hired Attorney Topazio. Attorney Topazio attached each incident of fraud, viewed surveillance videos, and challenged the Commonwealth’s evidence. Today despite the Commonwealth’s recommendation for a conviction, and through intense negotiations, the defendant received a CWOF or continuance without a finding, which is not a conviction under state law, instead of receiving a felony conviction. Result: Defendant avoids jail time and a felony conviction on his record. The defendant, a professional person, was accused of altering several written prescriptions for the prescription medication for Adderall that she was prescribed by her doctor. After being summonsed to court for arraignment on three (3) counts of uttering a false prescription, the client hired Attorney Topazio to defend her. Attorney Topazio contacted the prosecuting officer and presented his client’s version of facts in an attempt to negotiate a resolution of the case. He also provided the Commonwealth with a copy of his client’s medical records. When Attorney Topazio appeared in court for arraignment of his client, who had no criminal record, he convinced the District Attorney not to arraign his client and the case was continued for further arraignment. The reason for the continuance was to protect his client’s record since once an individual is arraigned, the charges will appear on that person’s CORI. The continuance further gave the District Attorney the opportunity to review his client’s medical records. Despite the allegations, his client had valid prescriptions for Adderall prescribed by her doctor. Today, Attorney Topazio convinced the District Attorney and the Court to dismiss two (2) charges of uttering a false prescription prior to arraignment and secured a disposition of pre-trial probation for his client on the last charge. The defendant, a professional person, was accused of altering a written prescription for a prescription medication she was prescribed by her doctor. After refusing to answer questions from police, the client received an Application for Criminal Complaint from the Court, and thereafter hired Attorney Topazio to defend her. Attorney Topazio contacted the prosecuting officer and presented his client’s version of facts in an attempt to negotiate a resolution of the case. After securing a continuance of the Magistrate’s hearing, Attorney Topazio obtained his client’s medical records to substantiate his client’s course of treatment and prescription medications for the hearing. Today, Attorney Topazio convinced a Clerk Magistrate, with the consent of the police prosecutor, to hold the case open for one year, with the agreement to dismiss the case if his client encounters no further trouble during that time. Result: Criminal charges do not issue against his client and she will not receive a criminal record provided she stays out of trouble during the proceeding year. The defendant, who had lost his health insurance and could not afford to pay for his prescription medications, presented a forged prescription under his friend’s name (who had health insurance) for medication the defendant had a valid prescription for, was arrested and hired Attorney Topazio to defend him. The defendant who held a real estate license could not afford a conviction as it would cause a suspension of his license. Today, Attorney Topazio was successful in convinced a Judge to continue his client’s case without a finding for nine months. A CWOF is not a conviction under State law. Result: Defendant avoids jail and conviction, and his case will be dismissed after nine months.